It can be very frustrating not being able to get out a timely appeal. I remember a specific incident where we were sitting five days after a disaster, and we had not yet sent out our email appeal. At that time I made a decision that that wasn’t going to happen again, that we weren’t going to be that late in sending out an email appeal because we can’t help the most people possible. You can help the most people when you raise funds while the media is at its highest exposure for a crisis. If it takes weeks to get a fundraising appeal out then you are not able to help as many people as you possibly can. You do want to quicken the pace of how you get appeals out the door. Some of this is structural with how you perform approvals and organize your fundraising department during times of disaster. 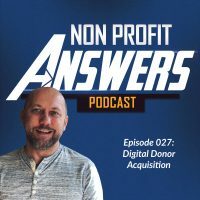 We’re going to walk through a couple of these issues and discuss digital and direct mail to speed up the response, so you can maximize fundraising. 1. Who Decides When to Respond to a Disaster? First, we need to identify who decides when to respond programmatically and who decides to respond on the fundraising side? At Food for the Hungry, one of the things that we did to speed up our decision making process for disasters is to centralize the decision to myself as the director of marketing and our senior director of emergency response. When a disaster strikes, he and I make a decision as to whether or not to respond programmatically, and whether or not to respond from a fundraising side. Even though these two questions are separate questions, they both are connected. We respond to all sorts of disasters, everything from a mudslide in Peru all the way up to a large scale earthquake or hurricane disaster. In those times, there may be a situation that comes up that does not warrant a large scale fundraising response, but does warrant us putting boots on the ground and helping a community. In the example I gave, the mudslide in the community in Peru, it’s a very localized, small disaster, and it may be something that depending on time of the year that we don’t respond to from a fundraising perspective but that the emergency response team does tap into their funds in order to respond with people on the ground to help. It needs to be a joint effort on how we respond and what we’re going to do when we respond. There are a number of things that may happen during the time of disaster in that example I gave earlier. In the time of a mudslide we might not do a press release, but we might put out a social media post. We may do an email campaign to people that have given to Peru before, asking for money. If the disaster is in a child sponsorship country, we write talking points for customer service in case sponsors reach out. The template is set up so that it’s easy to decide which items we’re going to do during the response. Those are automatically then assigned out to the people that are responsible for them. There’s no question of each time trying to define what it is that we’re going to do. Often the final approval stops at me as the Marketing Director. In our traditional direct mail fundraising process, those appeals are signed off by the President. During a time of disaster, we may need to respond more quickly without a lot of people being involved in the approval process. You also need to have a clear succession plan in case there are people out of the office during the approval process. I’ve been out of the country before and unavailable during times of disaster. When that happens, then we’ve got a clear line of succession of who approves fundraising to make sure that we do not slow down the process in case someone is not present. We also create templates for our email and for our writing tasks like talking points. These templates are prewritten based on what we generally do during time of disaster. If it’s a earthquake, we may provide emergency kits. We may provide shelter, food, or clean water. Prewriting speeds up both the writing and the approval process. There can also be a challenge of getting assets quickly from the field. In times of disaster like a hurricane, communication lines are often down. We may not have the photos and videos that we desire to use in fundraising. In those times we’ve relied on partners before. Many times, government agencies that will post photos and videos to sites such as Flickr and release the photos or videos into the creative commons. What we do is in those times where we don’t have direct assets of our own, we may use assets from a partner or another agency and then mark those accordingly, so that our donor base understands that those are not our photos or videos, but those are coming from a third party. You also need to know how you’re responding. What are you actually doing? We don’t want to make promises to our donors for things that we aren’t going to be doing on the ground, but we do want to be very accurate and tell them what we’re going to do especially when we write our impact report in the end to show them what we did. It needs to align with what we said we’re going to do. Sometimes those things will change as the situation changes on the ground, but generally speaking, understanding what you’re going to do and how you’re going to do it on the ground is a good idea when you’re preparing your content for the response. Develop talking points for your customer service team and for social media, giving them as much information as possible in case people reach out to find out what your organization is doing. If you decide not to respond at all, recommend other organizations that you trust for donors to donate to. I know that may seem weird, recommending other organizations, but we know that our donor base trusts us. We believe that by providing them the name of an organization that we know does good work, it deepens the relationship with current donors, and does not create a situation where a donor leaves and never comes back. There is often a significant lead time in direct mail and you’re not likely to get a direct mail campaign into homes within just a few days. How do we speed up that process, so that we could create a direct mail campaign that goes out quickly and gets into homes as fast as possible? First, preposition letterhead at the mail vendor. This will speed up the print process by having all the extras of the letterhead areas already done. Each month, prepare a mail file of likely donors to disasters and position that at the print vendor as well. The mail file should have a list of donors that you believe are good response donors for the emergency appeals. Make sure to refresh the list monthly so that when it does come time to mail out for a direct mail campaign that you’re not trying to pull segmentation to get authenticated at the print vendor. Finally, don’t forget to show gratitude to your donors and tell them what impact their donation made. After a disaster, we send out a thank you email with detailed information about what donors provided during the disaster. For example, in a recent storm in Haiti, we told the donors exactly how many people they fed, temporary shelters they setup, and how many corrugated metal roofs they provided for houses that lost their roofs. This detailed information helps build trust with your donors.